Below you fill find all funeral homes and cemeteries in or near Mandan. Suburbs of Mandan: Fort Rice, Huff, Saint Anthony, St Anthony. Mandan is also known as: Morton County / Mandan city. Zip codes in the city: 58554. Broadway Ave. & 8th St. Some of the notable people born here have been: Bella Hudson (voice actor and actor), and Carrie Keranen (voice actor and actor). 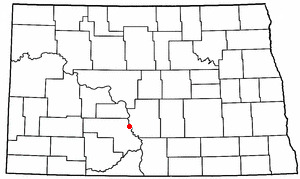 Mandan is a city in Morton County, and the eighth largest city in the State of North Dakota. Mandan was voted second most patriotic city in the United States. 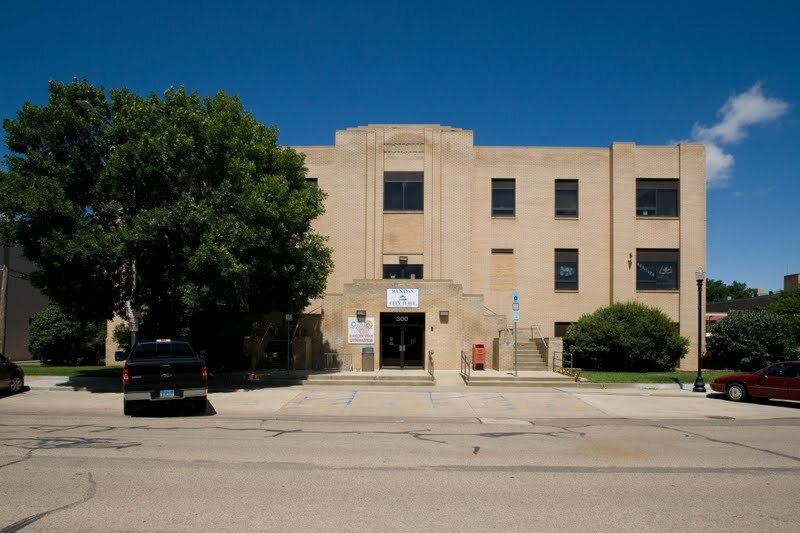 It is the county seat of Morton County and a core city of the Bismarck-Mandan Metropolitan Statistical Area. The population was 18,331 at the 2010 census. The U.S. Census Bureau estimated 2014 population is 20,820. Mandan was founded in 1879 and became the county seat in 1881. It is located across the Missouri River from Bismarck, the state capital. The city was named after the Mandan Indians. It was reported by Baker City Herald on January 4th, 2019 that Curtis Allen Heck perished in Baker City, Oregon. Heck was 59 years old and was born in Mandan, ND. Send flowers to share your condolences and honor Curtis Allen's life. It was revealed by The Columbian on November 20th, 2018 that Walter Noel "Walt" Belinskey passed away in Vancouver, Washington. Belinskey was 78 years old and was born in Mandan, ND. Send flowers to express your sympathy and honor Walter Noel "Walt"'s life. It was noted by The Columbian on October 24th, 2018 that June Marie Buttler (Johner) passed away in Vancouver, Washington. Ms. Buttler was 92 years old and was born in Mandan, ND. Send flowers to share your condolences and honor June Marie's life. It was noted by Orange County Register on March 4th, 2018 that Virginia "Jean" Scheider (Soltz) died in Cerritos, California. Ms. Scheider was 86 years old and was born in Mandan, ND. Send flowers to express your sympathy and honor Virginia "Jean"'s life. It was written by The News Tribune on February 18th, 2018 that Elaine Marion Hulschcher (Keller) perished in Tacoma, Washington. Ms. Hulschcher was 79 years old and was born in Mandan, ND. Send flowers to express your sympathy and honor Elaine Marion's life. It was noted by The Villages Daily Sun on February 7th, 2018 that Robert "Bob" Renner perished in Florida. Renner was 69 years old and was born in Mandan, ND. Send flowers to share your condolences and honor Robert "Bob"'s life. It was reported by The Herald on December 31st, 2017 that Clyde Glenn Fields died in Washington. Fields was 93 years old and was born in Mandan, ND. Send flowers to express your sorrow and honor Clyde Glenn's life. It was noted by The Herald on October 31st, 2017 that Clyde Glenn Fields passed on in Washington. Fields was 93 years old and was born in Mandan, ND. Send flowers to express your sympathy and honor Clyde Glenn's life. It was disclosed by Register Guard on August 20th, 2017 that Elizabeth Nancy "Betty" Fletcher (Fluent) passed away in Eugene, Oregon. Ms. Fletcher was 97 years old and was born in Mandan, ND. Send flowers to express your sorrow and honor Elizabeth Nancy "Betty"'s life. It was reported by Ellensburg Daily Record on July 8th, 2017 that Elizabeth Ruth "Bette" McDermott passed away in Washington. McDermott was 95 years old and was born in Mandan, ND. Send flowers to express your sympathy and honor Elizabeth Ruth "Bette"'s life. It is a core city of the 'Bismarck-Mandan Metropolitan Statistical Area'. It is the county seat of Morton County . Mandan was founded in 1879 and became the county seat in 1881. Mandan is a city in Morton County, North Dakota County, North Dakota in the United States. The population was 16,718 at the 2000 United States Census census. The official website for the city of Mandan is http://www.cityofmandan.com/. Listing all funeral homes in Mandan, North Dakota so you can easily send flowers to any location (same day delivery) or find any funeral service. We work with local florists and flower shops to offer same day delivery. You will find budget sympathy flowers in Mandan here. Our funeral flowers are cheap in price but not in value.